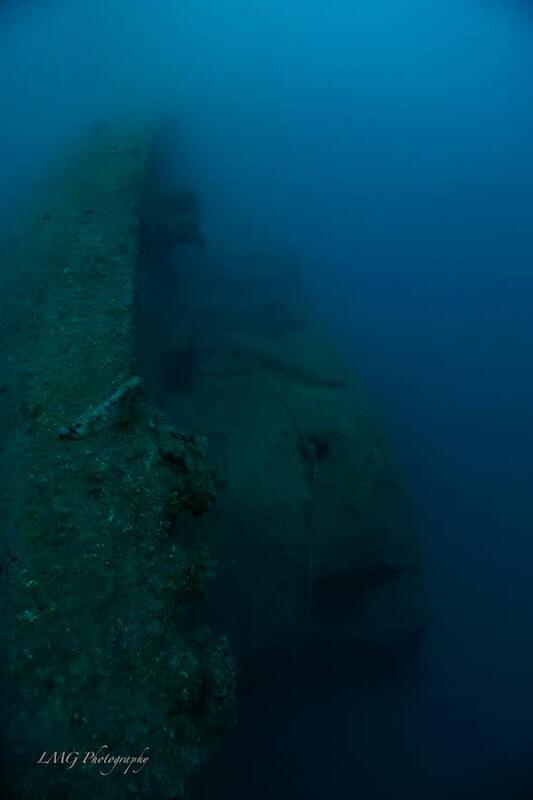 The only place in the world that a World War I and a World War II wreck make contact with each other. Both are dive able on one boat dive and this shot is one of my favorites. 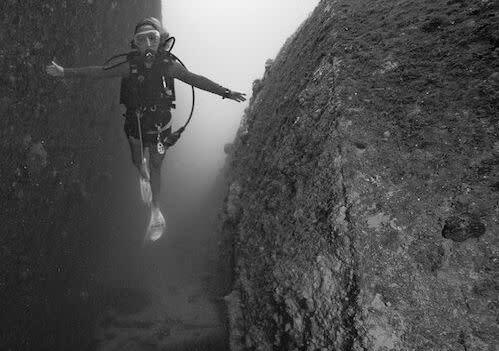 You can clearly see both the Tokai on the divers right and the Cormoran on the divers left. 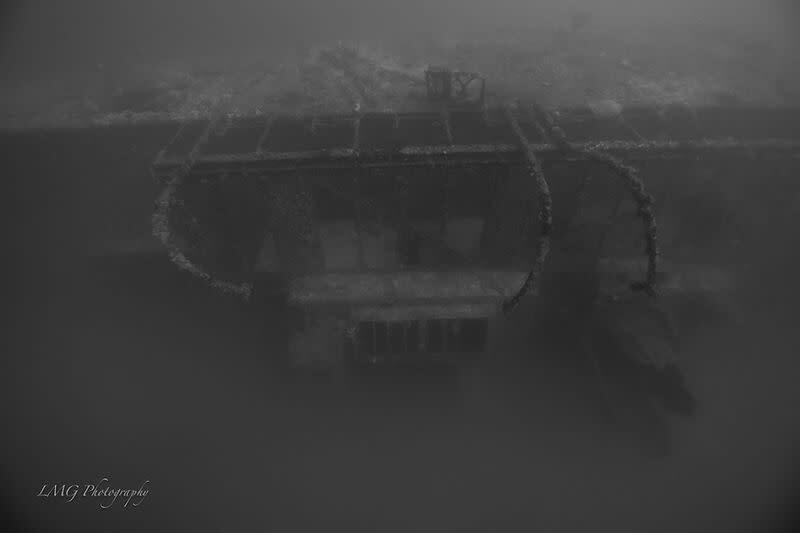 If you swim a little farther back, you can see where the two wrecks are toughing one another. 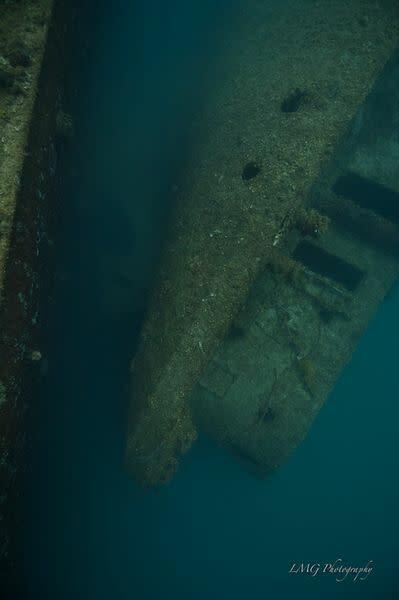 The depth where the two wrecks touch is around 95 feet. 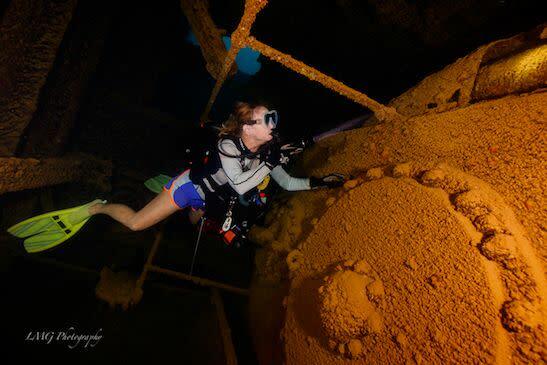 Swimming through the superstructure to the bow of the ship at 85 feet. 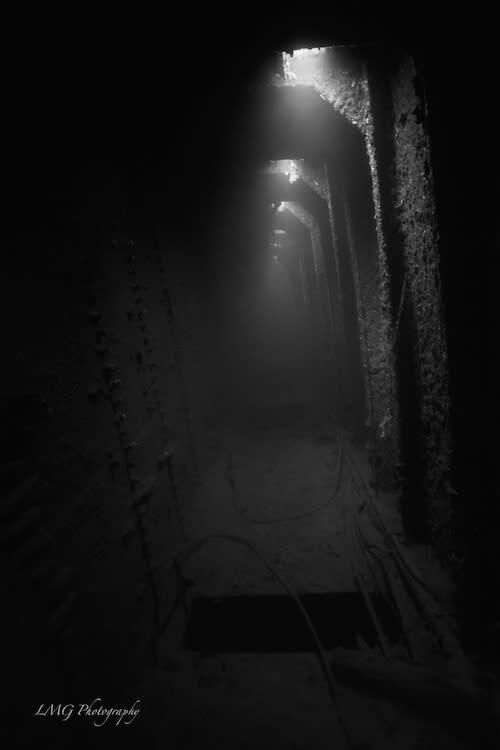 This black and white photo of a passageway on the second level of the Cormoran appears to have light coming in from the level above. 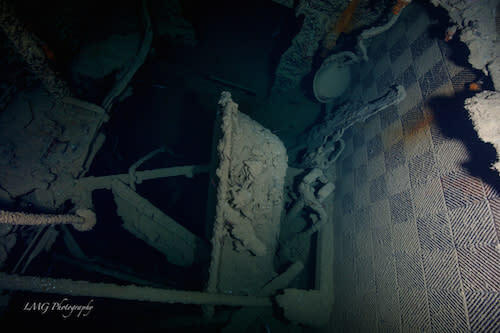 However, as she rests on her starboard side the light is penetrating through the portholes on the side of the ship.